This poster takes the side of readability rather than completeness. You will find there media which are "opinion-makers" and depend on industrial, financial, press groups or the state interests : national generalist publications, regional daily newspapers, national audiovisual media (and some local TV channels). 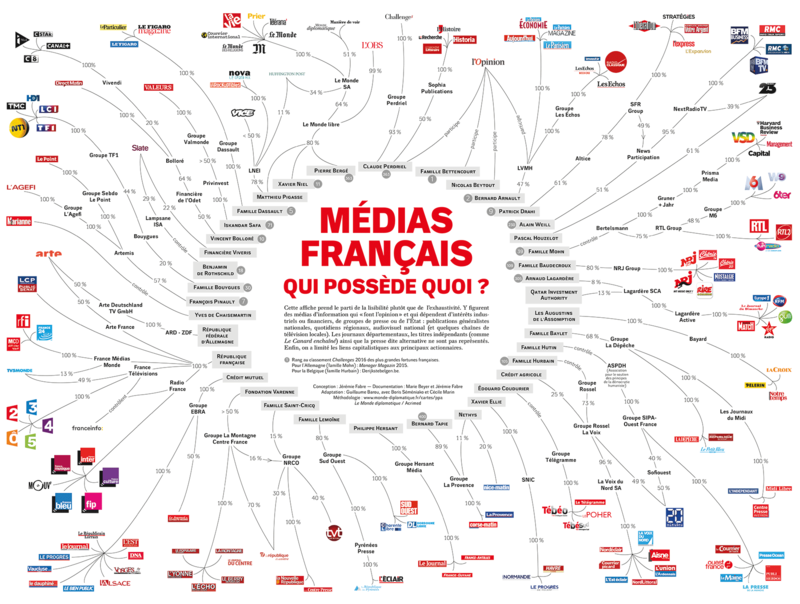 The departmental newspapers, independent publications (such as Le Canard enchaîné) and the alternative medias are not represented. Finally, financial links have been limited to the main shareholders.